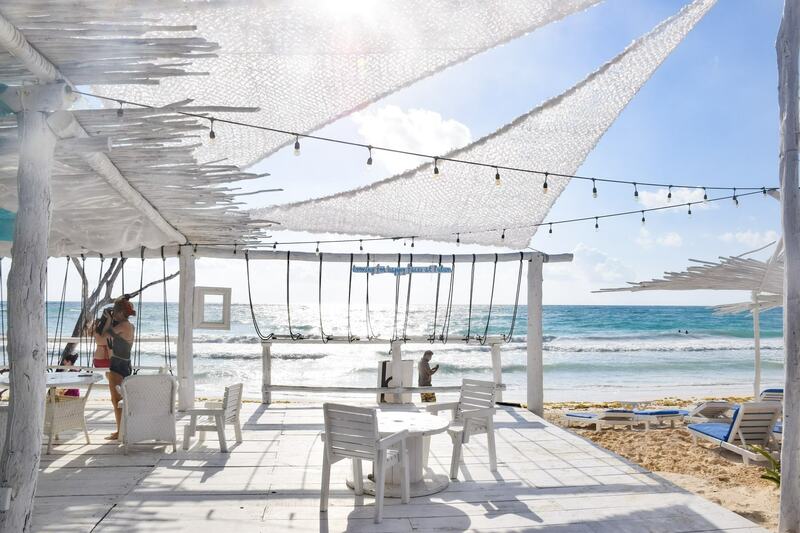 About 10 minute away from Downtown Tulum, the Tulum Beach Strip is the ultimate place to base yourself for your visit to this laid-back beach town. 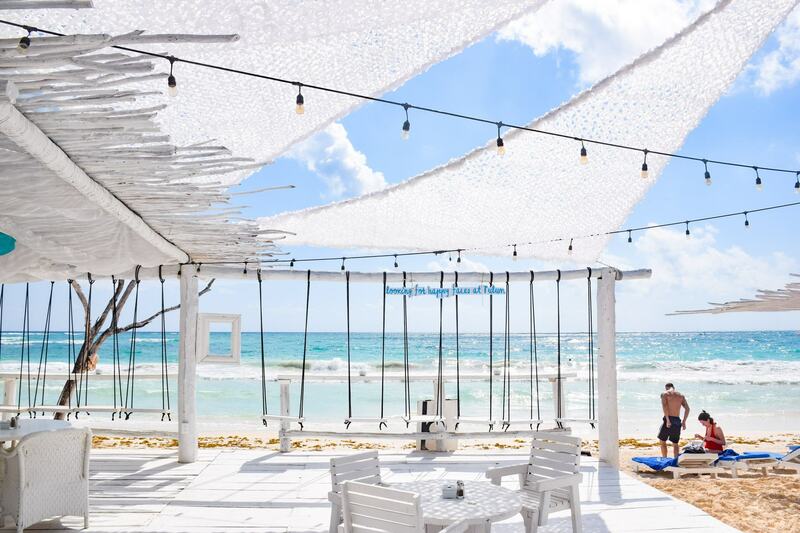 For the ultimate Instagrammable honeymoon accommodation in Tulum on Mexico’s Yucatan Peninsula you can’t go past the eco-lodge Coco Tulum. 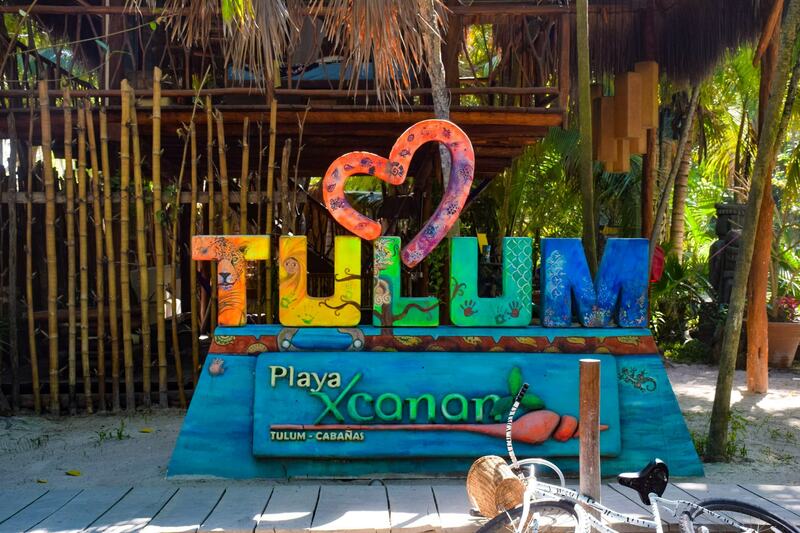 Mexico has no shortage of ancient Mayan ruins, but the ones in Tulum are unlike any other. 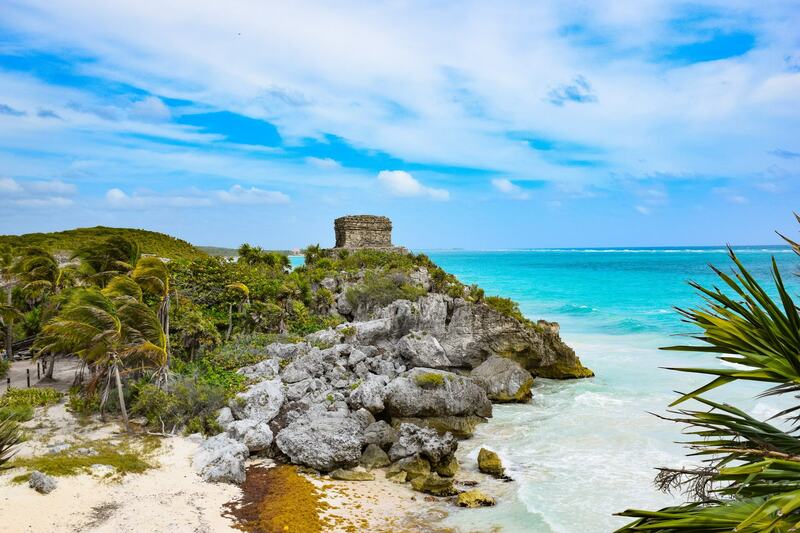 If you’re visiting Tulum you really can’t miss a trip to these iconic ruins, it is a beautiful way to learn more about the history of Mexico and the Mayan people. 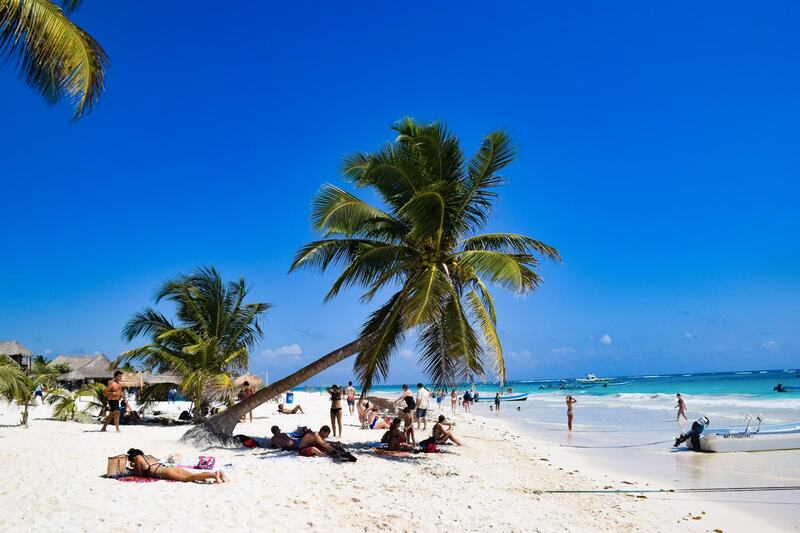 There’s one perfect palm tree in Tulum, that’s sitting on a white sand beach next to an azure ocean on a perfect angle that you’ve seen in all the travel pics. This is where you’ll find it. 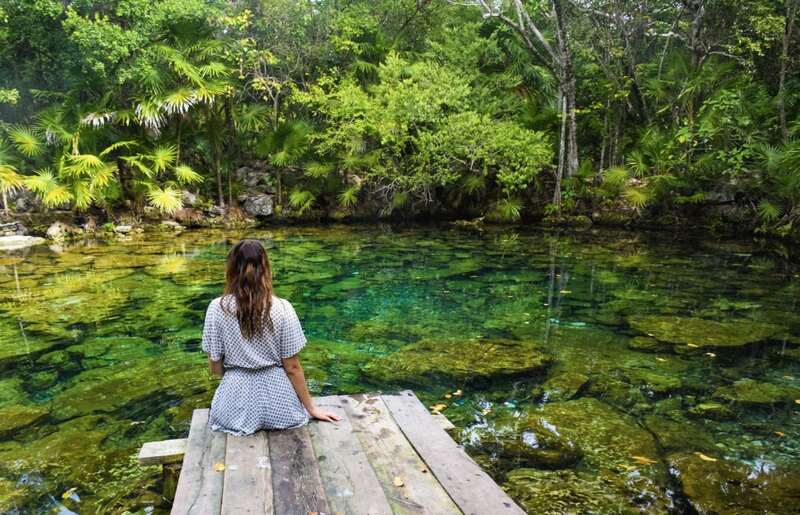 Swim in some of Mexico’s most beautiful water holes and explore all the hidden underground rivers, with our guide to Tulum’s best cenotes. 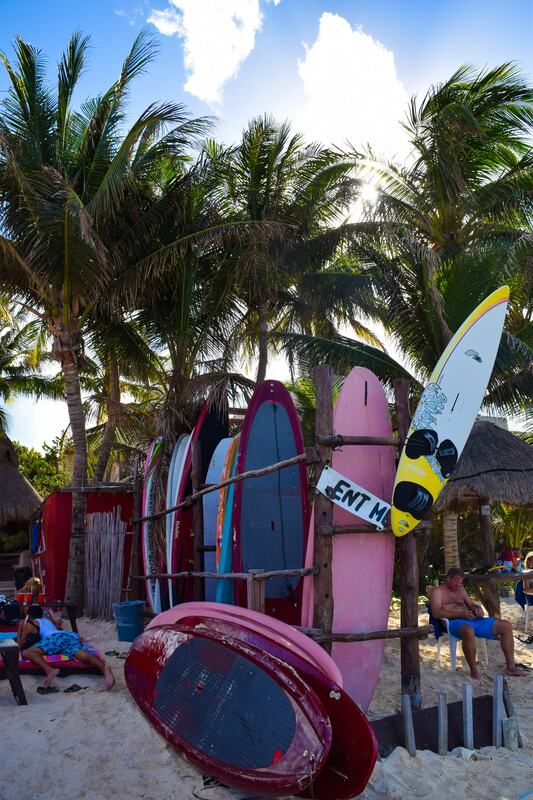 An essential guide to the chic Mexican beach town of Tulum on the Yucatan Peninsula in Mexico, the home of eco lodges, tree houses and white sand beaches. 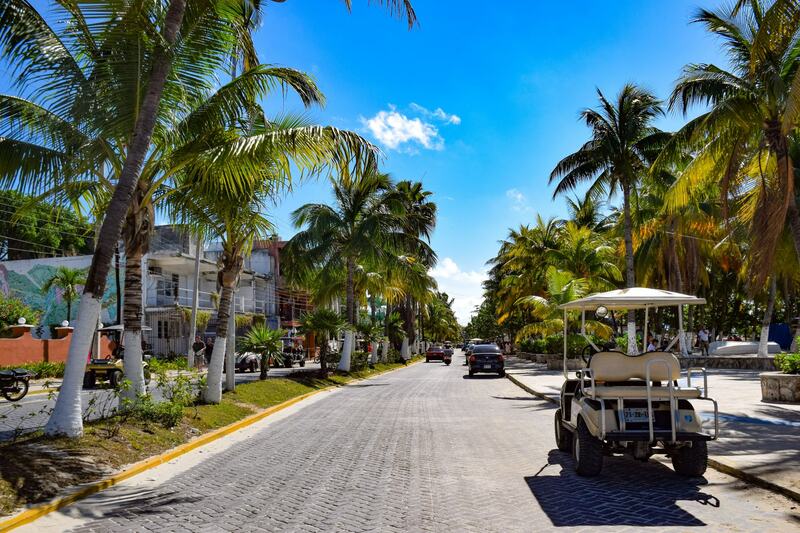 A complete guide to everything you need to know about renting a golf cart to get around Isla Mujeres. 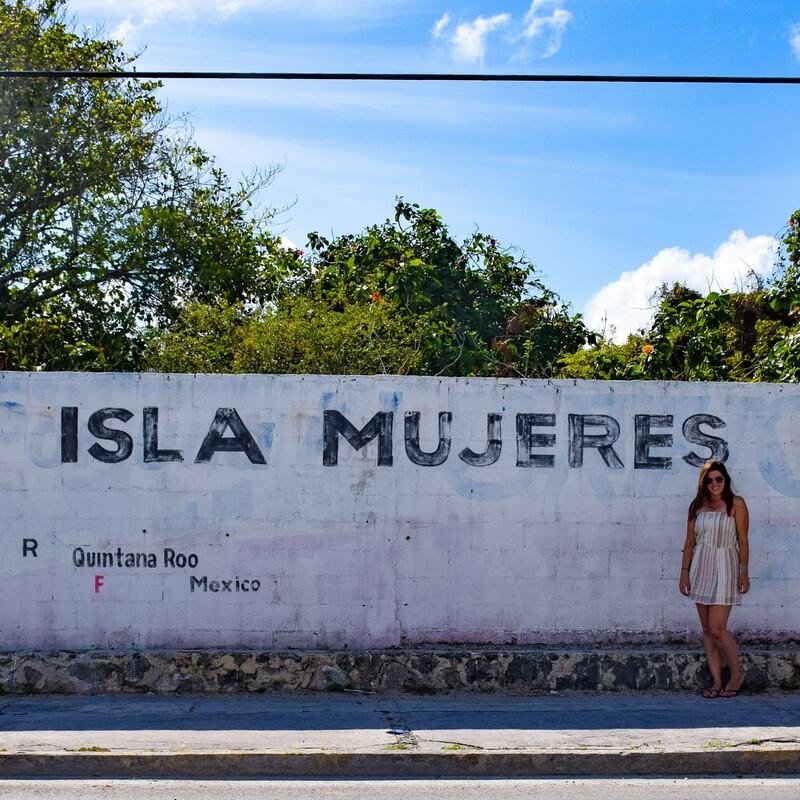 The top things you can’t miss when you’re exploring the island of Isla Mujeres. 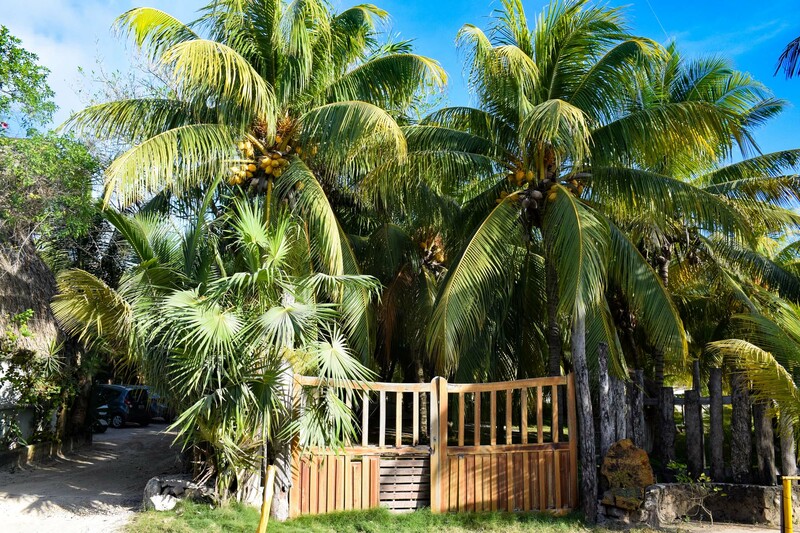 The most relaxing and luxurious way to enjoy island life is at Mia Reef on Isla Mujeres. 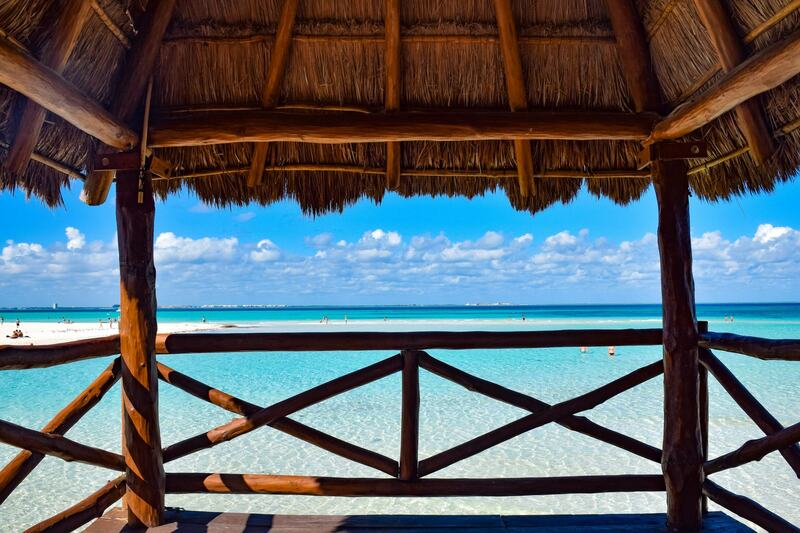 If you’re looking for the ideal honeymoon destination, you’ve come to the right place! 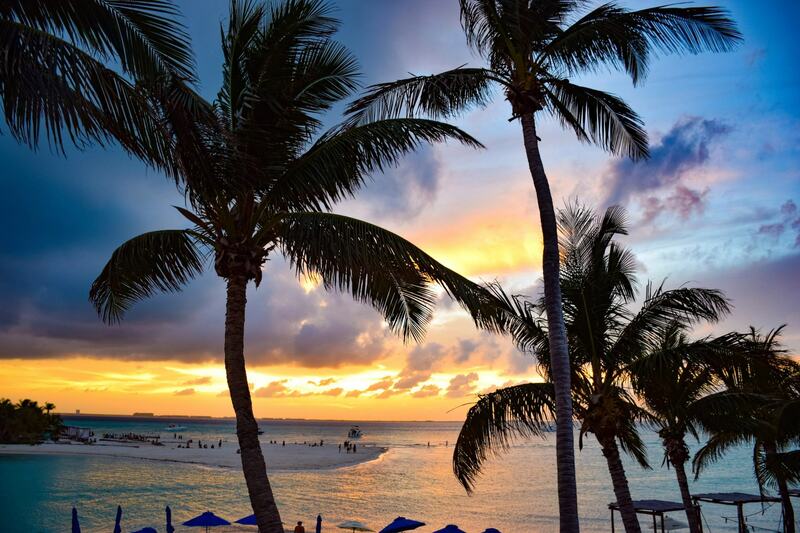 Here’s your essential guide to Isla Mujeres, the perfect Mexican Island for a romantic getaway. 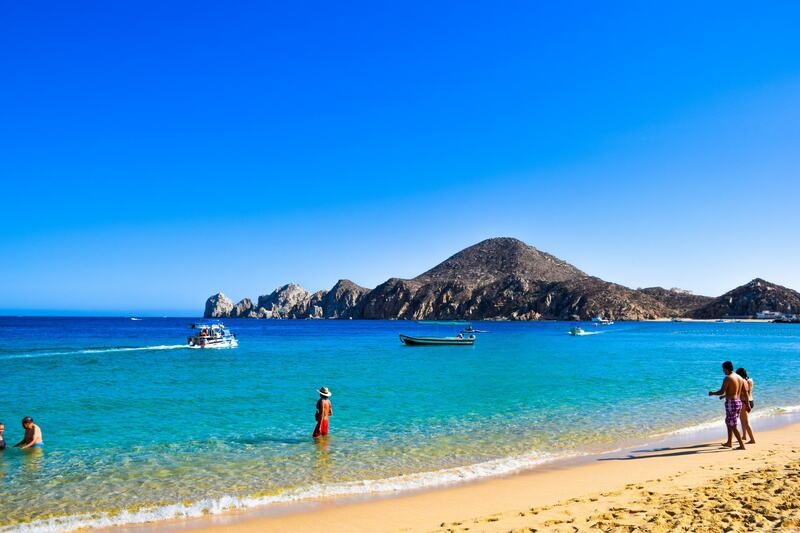 The best way to see everything Cabo has to offer on the water is by boat. 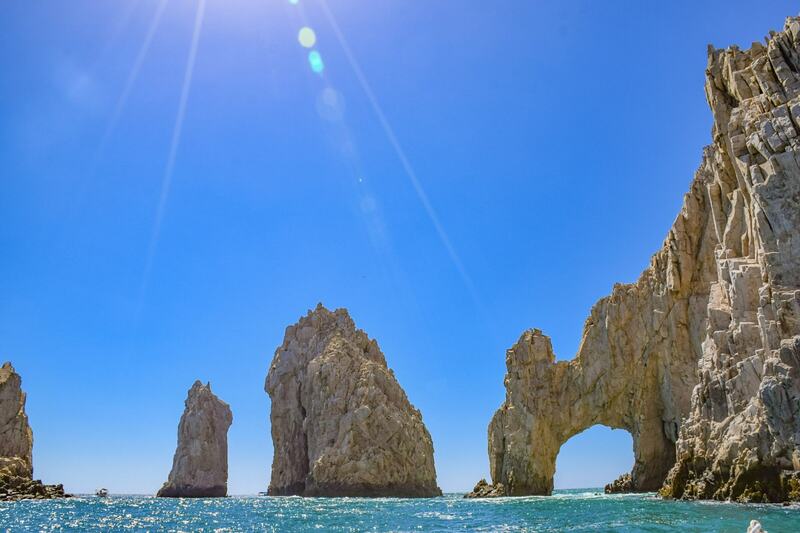 Cabo San Lucas is famous for it’s incredible rock formations which can only be seen from the water. From the beautiful ocean views, wildlife encounters, crazy delicious food and abundance of cactuses lining the streets, Cabo exceeded every expectation we had before arriving. 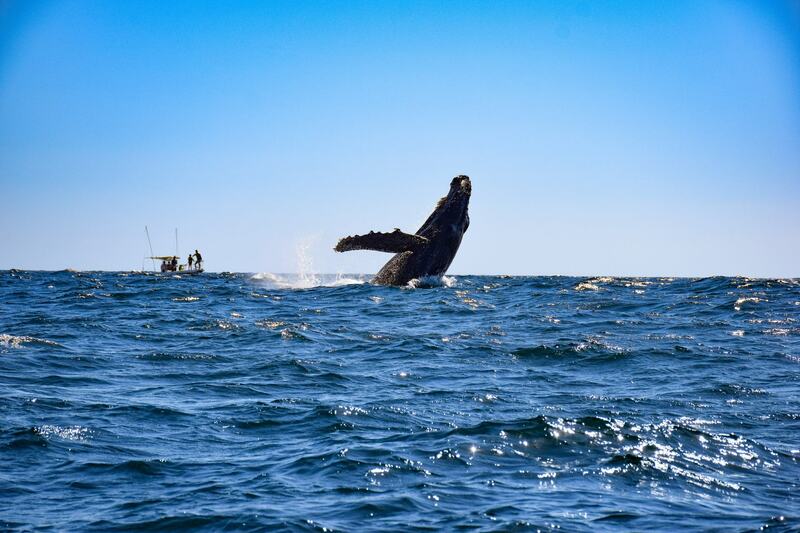 Experience the ultimate wildlife adventure whale watching in Cabo San Lucas.